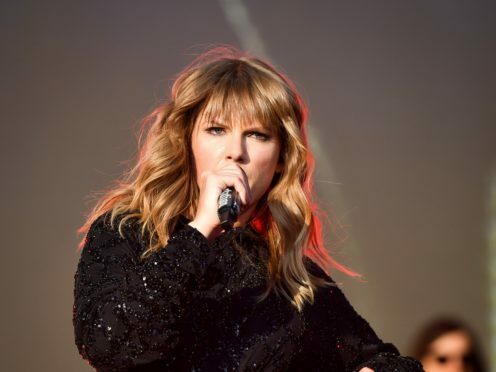 Taylor Swift made sure all eyes were on her as she stepped out on stage at the BBC’s Biggest Weekend in a skimpy black leotard. The Shake It Off singer looked dazzling in the sparkly outfit, which featured long sleeves embellished with sequins and corset-like lacing around the waist. Swift, 28, wore her blonde hair loose over her shoulders and completed her look with thigh high black boots. The star performed six songs for the excited crowd in Swansea, including Gorgeous and Delicate. 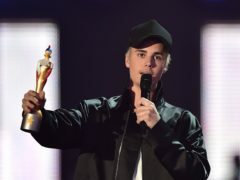 Other artists performing at the event on Sunday included Jason Derulo, Demi Lovato and Rita Ora. The four-day music festival ends on Monday.